All the rest of the problems are correct. APGAR = Appearance, Pulse, Grimace, Activity, Respiration – for my spanish speaking friends (Apariencia, Pulso, Gesticulación, Actividad, Respiración) – or as figured by my friend Kendra CHaRRM (color, heart rate, respiratory rate, reflex irritability, muscle tone). The apgar score was created by a Doctor Virginia Apgar, an anesthesiologist, to assess the health of the newborns immediately after being born. 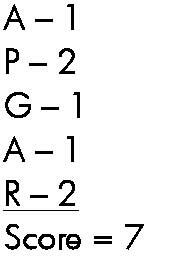 Using the APGAR Score sheet (mine here), figure the score of this newborn. A newborn was assessment was noted: Acrocyanosis, good cry but only grimacing when applying stimulation to infant. Some muscle tone is noted with an apical heart rate of 101. What is the score? A prenatal woman states having 3 young children at home. She says her daughter was born right on time, but her sons were both a month early. Sadly, she lost a baby in her second month. What is her GTPAL? If you had the math questions from the workshop on Jan 28th, but need the answers – go to Resources/Semester 2 and you will find them! 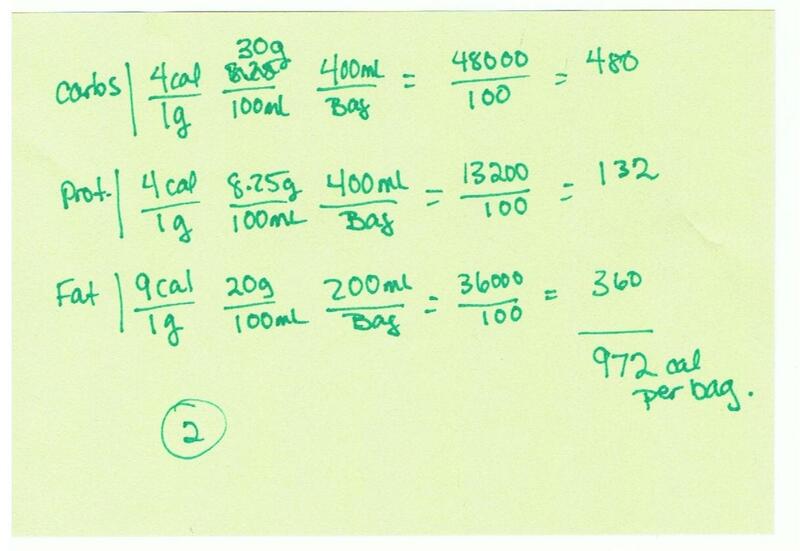 #2 – If you use the conversion of 1 g = gr 15 or the conversion of 60 mg = gr 1, your answer can come out differently. 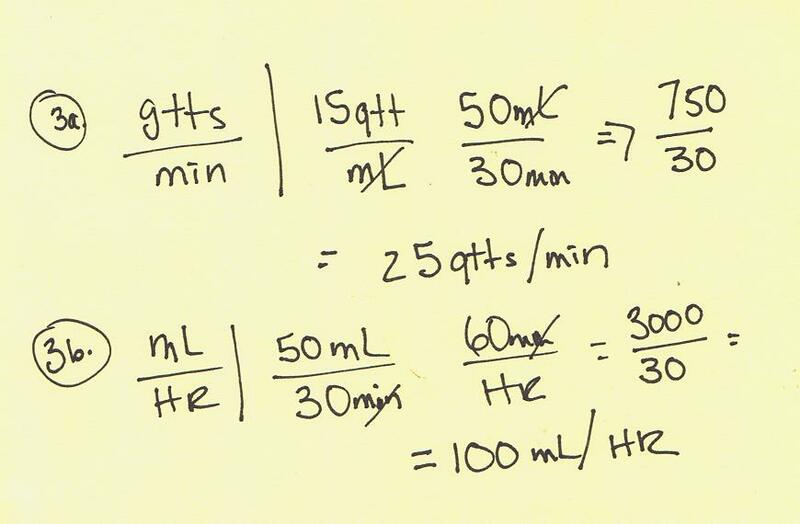 #27 – My answer is 40.9 mL/hr as we have learned to go to the tenths. But with pumps we may be rounding. 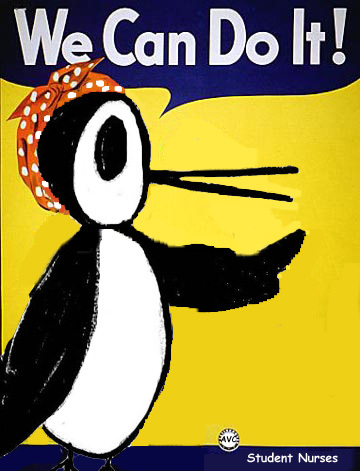 I suggest for our test, go to the tenths place. #30 – The answer I came up with is 47 gtt/min. #31c – I used 20% lipids. 1. The doctor’s order is for an intravenous infusion of one liter of 5% Dextrose with Lactated Ringers (D5LR) to infuse at 125 ml/hr. 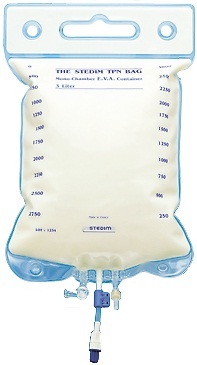 How many hours will it take for the IV bag to infuse? Since we are talking about infusion I would automatically start thinking what I am looking for is Hrs. So I know my first conversion factor must have hrs as the numerator, and I like to start usually with what the doctor wants or what is on hand. 2. 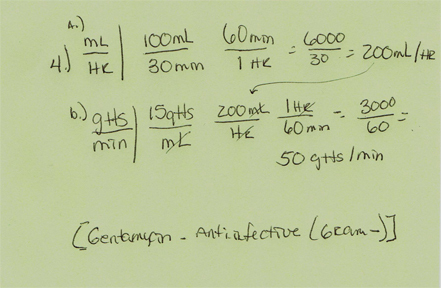 The physician’s new order is to infuse 1000 ml 5% Dextrose and 0.45 Normal Saline (D5 1/2 NS) with 40 mEq KCL, over 10 hours. 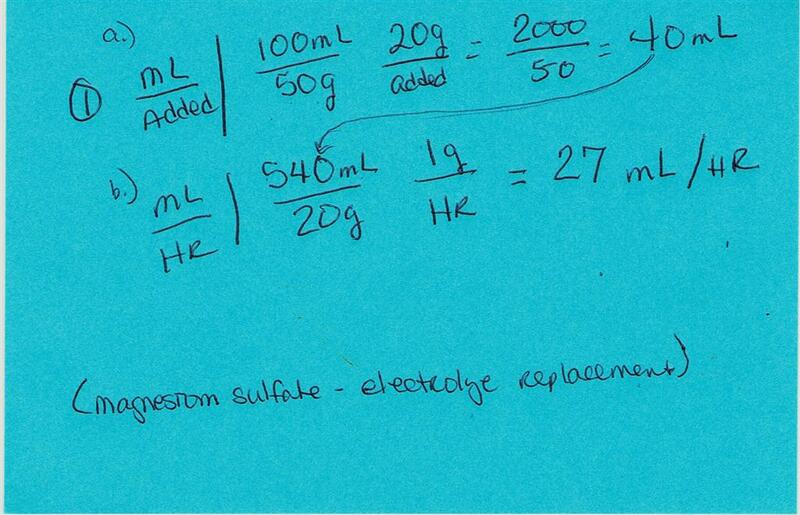 (a) what will the rate be using an infusion pump? 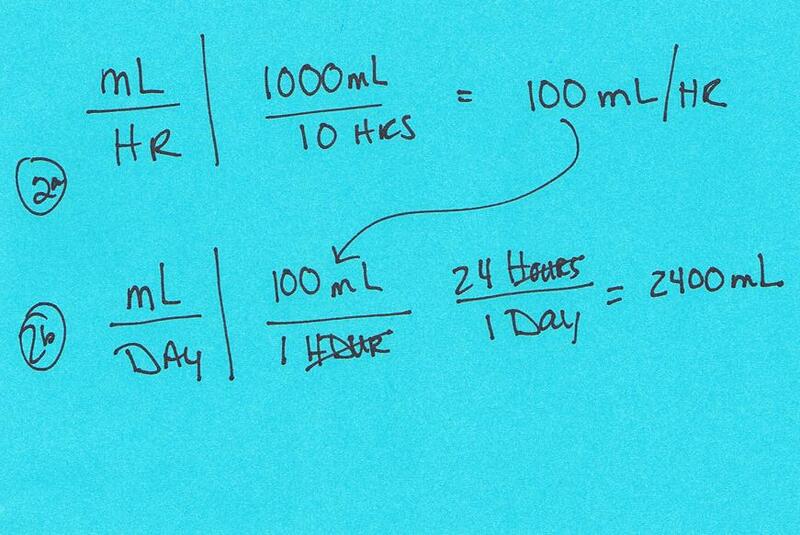 (b) How many milliliters will the patient receive in one day? Here I think “rate” is always ml/hr. I’m also thinking infusion which is again Hrs. So I would start with Hrs or look for the mL/hr. 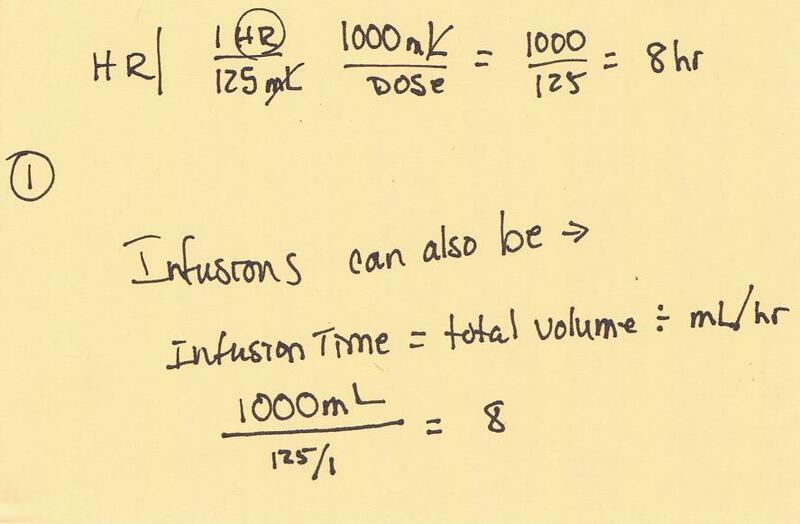 Remember from the answer above, infusions are total volume divided by mL/hr. 3. You are to infuse an antibiotic via IVPB. The order is for Cefazolin one-gram q 8 hrs. The medication book recommends the the infusion time of 30 minutes. The drug is supplied in 50 ml of NS. The tubing drip factor is 15 gtt/mL. (a) what will the drip rate be for the infusion? 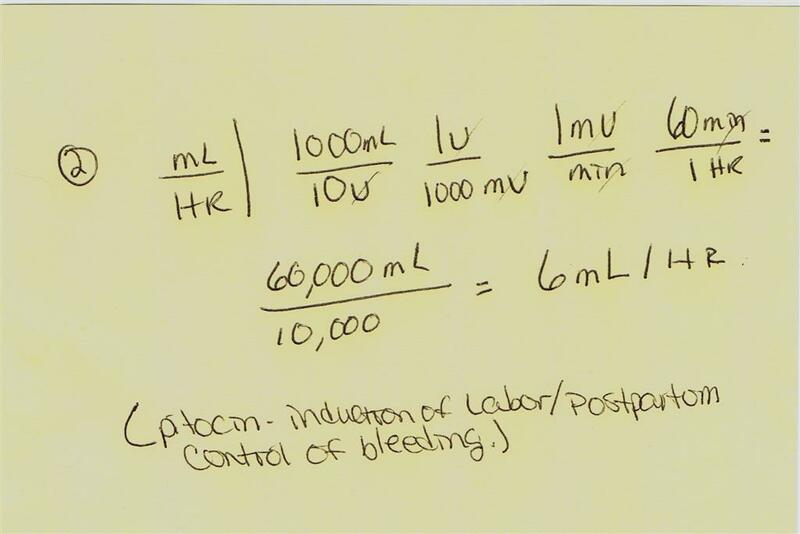 (b) What will the rate be using an infusion pump? Drip rate? Well, we know that means gtts/min right? 4. 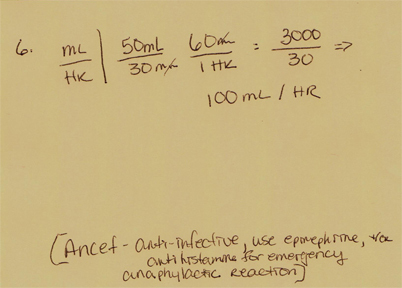 The order is for Erythromycin 750 mg in 250 mL of 5% D5W to infuse over 1.5 hours. The tubing drop factor is 15. (a. ) what will the drip rate be for the infusion? (b) What will the rate be using an infusion pump? This one gets tricky. Drip rate again means gtts/min we are looking for, but you think where is the gtt conversion? When it says factor, know it means per min or hr. If we are talking drops it will be per min, so use the 15gtts/min. 5. 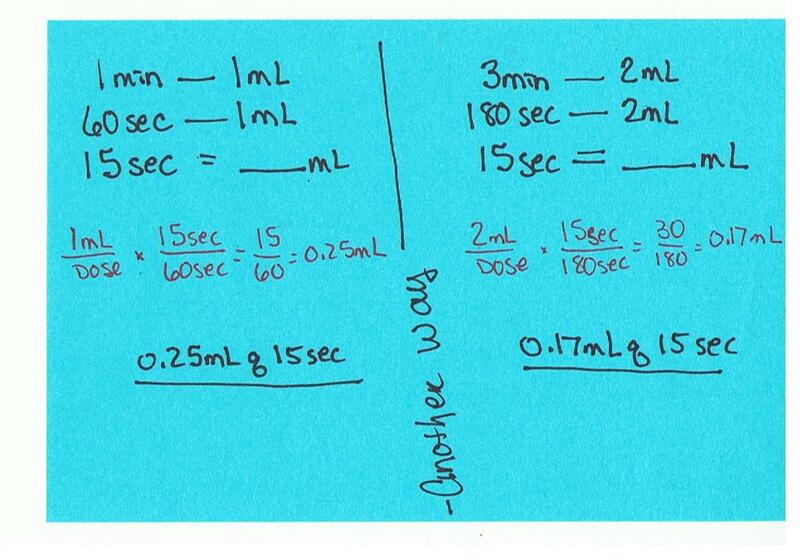 The physician’s order is to infuse a continuous IV of 1 liter or 1000 mL of NS with 20 mEq of KCL at 75 mL/Hr. 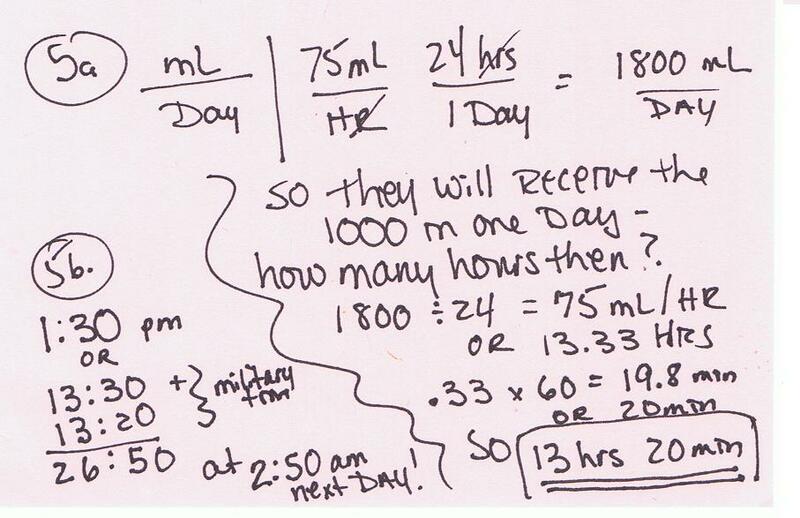 (a) How many mL will the patient receive per day? (b) If the infusion was started at 1:30 pm, at what exact time will the bag be totally infused? This one is fun. I think the question (a) is a little off. You figure it will get infused before a full 24 hrs is complete. So then figure out how many hours it will take. For (b) I changed my hours to military or 2400 hrs, and added the total time. Make sure you have changed the part of an hour into minutes by multiplying the .33 of an hour by 60 to get you true minutes. This morning I feel like another math session before I begin my day. Then a little run, and off to the Getty with my DH and DDs. These math problems are from a prior class. a. How much will you add? b. At what rate will you infuse the IVPB? a. 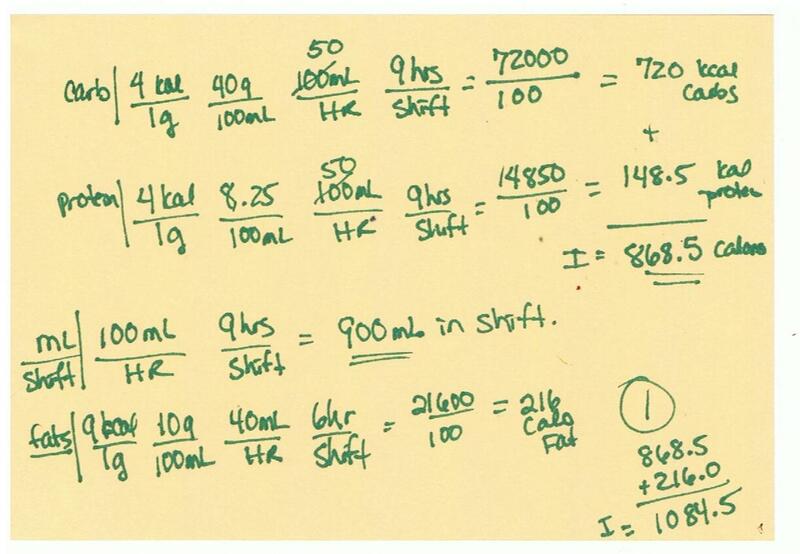 Calculate the flow rate to deliver the ordered dosage using the in­fusion pump. b. 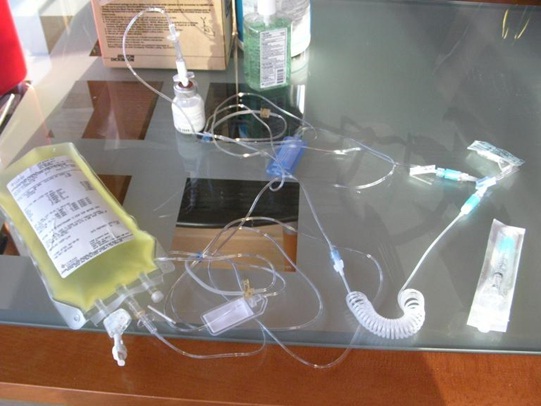 While making nursing rounds, you notice that the patient’s IV pump is infusion at 30mL/hr. 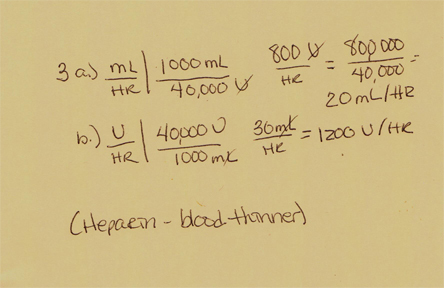 Calculate how many units of Heparin is infusing per hour. a. 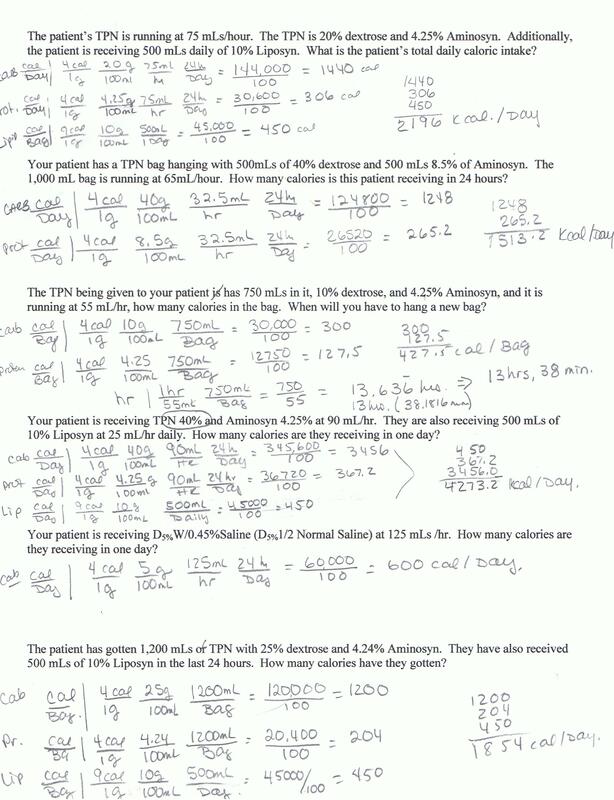 Calculate the infusion rate. – my iPod touch turns off too fast! 1. Doctor orders carbamazepine 19 mg/kg/day to be divided into 2 doses. Your patient weighs 55 lbs. You have Carbamazepine of 50 mg on hand. 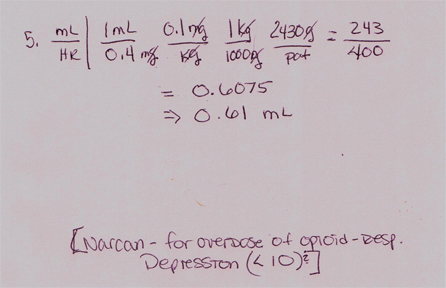 How many mg of carbamazepine do you administer for each dose? 2. Doctor orders ceftibuten 270 mg PO. The nurse has 90 mg/5 mL suspension of ceftibuten available. 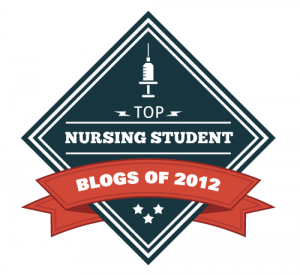 How many mL of ceftibuten suspension does the nurse administer? 3. 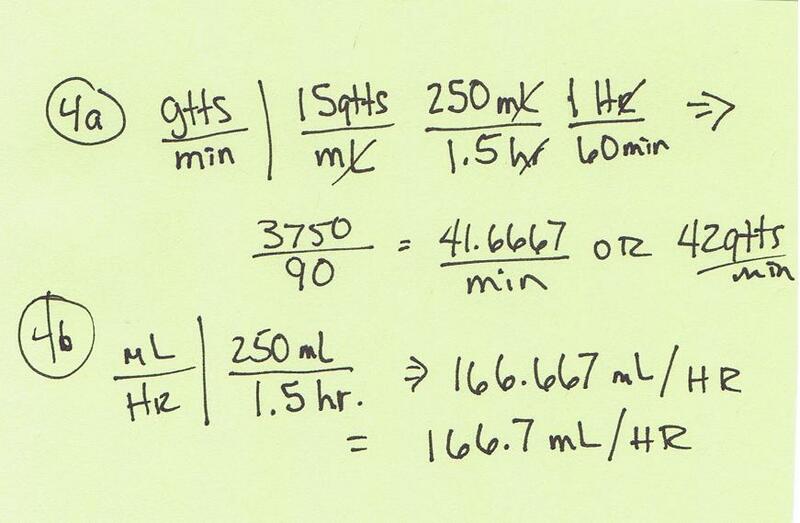 You need to know how many gtts/min are infusing by IV. The order was for LR at 85 mL/hr. The tubing factor is 20 gtts/mL. 4. 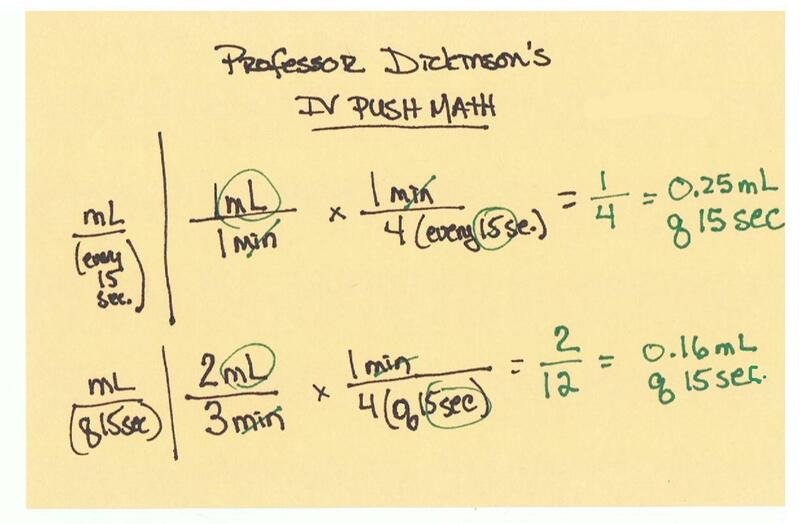 You need to infuse an IV of 1 L of D5NS over 6 hrs. The drip rate is 16 gtts/min. How many mL an hour do you administer the UV fluids? 5. The med chart says to give azithromycin 2 g PO once a day. You have unscored tablets of 500 mg each. How many tablets do you give the patient? These questions were modified from Taylor’s.